Shell Malaysia was winner of the Life at Work Awards 2014 (Best International Organisation) and 2015 (Best Initiative for Developing Female Leaders through the Shell Graduate Programme). The Award recognises women-friendly employers with leading workplace strategies to champion the diversity and inclusion agenda in the organisation. Shell Malaysia is one of the first employers in Malaysia to implement diversity and inclusion (D&I), and today, we continue to promote the D&I integration into our operations and culture. The levers we use to progress and embed D&I include communication, education, recruitment, development and mentoring, and building a supportive and inclusive work environment. We openly share our policies and implementation approach with other employers in Malaysia to help advance the D&I agenda. Our efforts are underpinned by targeted metrics that monitor progress e.g. the representation of women in senior leadership, the diversity of nationalities and our D&I Indicator across our work environment via the annual People Survey. Inclusion for Shell means creating a working culture where differences are valued; where everyone has the opportunity to develop skills and talents consistent with our values and business objectives. The aim is to make Shell an organisation where people feel involved, respected, and connected - where the richness of ideas, backgrounds and perspectives are harnessed to create business value. All employees have access to our D&I toolkit and Learning Portfolio to further embed inclusion within their teams. Globally, Shell has more than 40 employee networks; who come together in support of common goals and interests, including those for women, LGBT, and disability groups. In Shell Malaysia, our people policies and practices support our D&I agenda and accommodate our employees with respect and non-discriminately. It is important to recognise that while we are doing this in support of our global values, we are not seeking to change individual beliefs; it is important to us to always be respectful of the local cultures in countries where we operate, as well as comply with local legislative requirements. Senior Women Connect (SWC) - designed to help senior women support each other in gender specific leadership challenges. Women’s Career Development Programme (WCDP) - designed to help all women employees identify what they want from their professional and personal lives, and to support them in achieving their full potential. Shell Women’s Action Network (SWAN) – a platform that enables its members to develop and grow both personally and professionally. 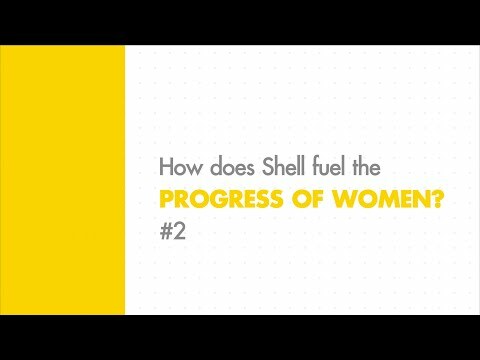 The Network builds on the existing Shell policies and development opportunities to initiate programmes that contribute to the inclusive and diverse environment in Shell. Work flexibility is deeply embedded into our culture. Leaders are encouraged to talk to employees about the flexible working practices that are available so that employees can positively balance the activities that matter to them, whilst meeting their job requirements. In providing a better working environment, our offices are equipped with mother’s rooms (complete with amenities like pumps, sterilizers, refrigerator, wash basins and lockers), a childcare centre within the building, gym, including activity and breakout areas. This supports our aim to make Shell a great place to work. How has a diverse and inclusive environment helped in the progress of women in oil and gas?